100 followers!! I made it! When I first started my blog I never thought I would have this many followers! I was excited just to have 8! So now I want to give a big THANKS and celebrate reaching 100 with a giveaway! 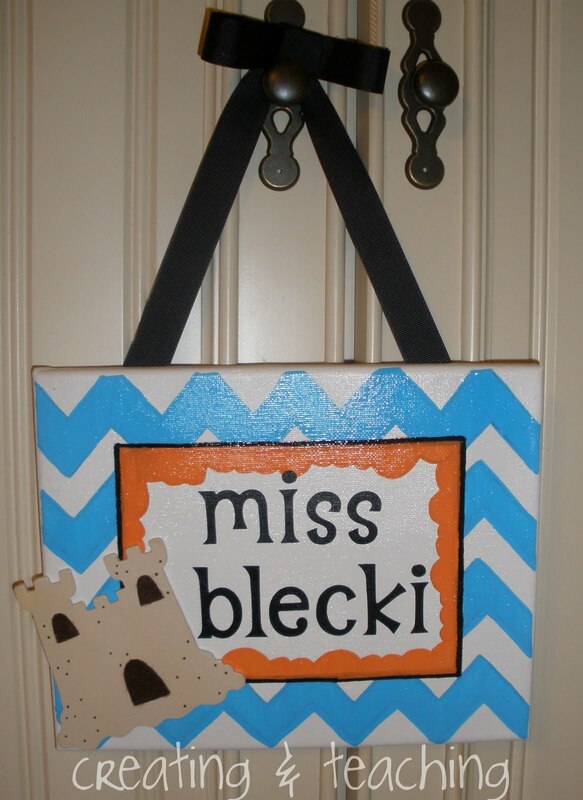 I recently made a name sign to hang on my classroom door out of an 8x10 canvas. And now I'd like to give you a chance to win one yourself! I used my cricut to do the letters, and applied a coat of spray gloss for protection when I was finished. The winner of the giveaway will choose a theme and/or colors for their name sign! If you'd like something other than chevron stripes you may choose that as well. 2. Follow Creating & Teaching on facebook. 3. Add my blog button to your blog. 4. 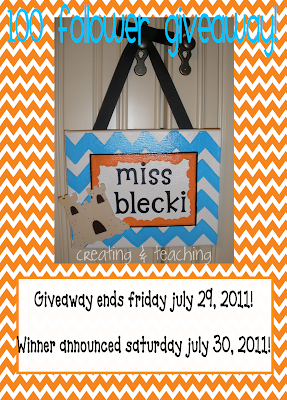 Post a blog entry about this giveaway with a link back to this post. Please leave 1 comment for each way you enter the giveaway. 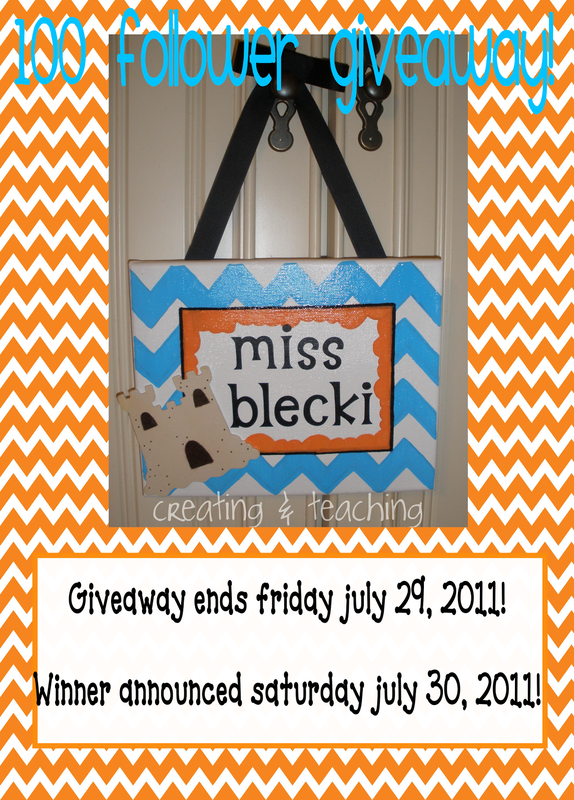 The giveaway will end Friday July 29, 2011 and the winner will be chosen at random on Saturday July 30. The winner has 48 hours to contact me by e-mail at creatingandteaching(at)hotmail(dot)com. I follow your blog. Congrats! I follow your blog now and congrats! I posted about your giveaway! I follow your blog! :) Love the sign! I grabbed your blog button! I posted about your giveaway here! Your sign looks great! I Follow your blog. What a cute sign! I hope I win! I'm a follower. I blogged about your giveaway! Love that sign!! 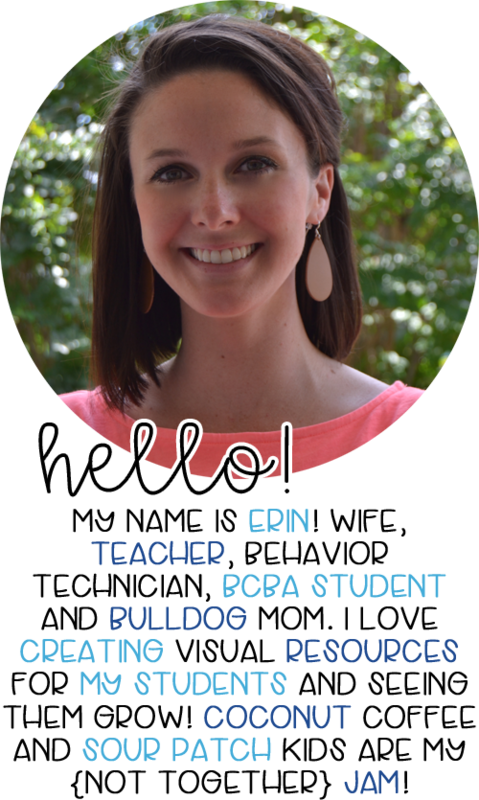 And I added your button to my sidebar! I posted about this on my blog!! Thanks for your help on the button!! I grabbed your button too!!! I'm following your facebook page! That turned out so cute!! Great job Erin! I "liked" you on facebook! I am now a follower of your blog! Love the sign! I am not following your blog! I love your sign! What a fun thing to win! I mean now following your blog! sorry!!!! I'm a new follower! Happy Blogging! I now like you on Facebook! I have you all set to blog about you on Wednesday. I do GiveaWay Wednesday where I list all the giveaways in one post weekly. Go to my link and it's under the label giveaways on Wednesday morning. =) I will also post it on both of my facebooks! =) Hope that is OK! I follow your blog. Thanks for the opportunity. Sounds great Jennifer! I look forward to checking it out! Jennifer-- I think you read my mind! I was just on here thinking, is there a setting in blogger that let's me number my comments?! You're the best! LOVE your blog! I just added it to mine! I am now a follower and I liked you on facebook! Love your blog!